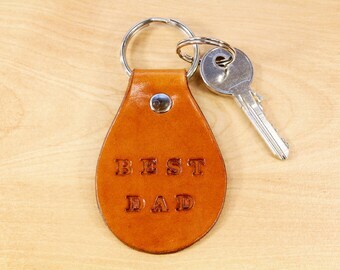 It can be so hard to find a really special gift for dad to show how much you care. 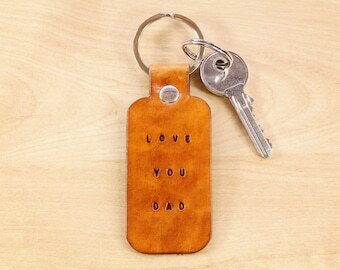 This Love You Dad leather bookmark gift set is great as it really shows how much he means to you!! 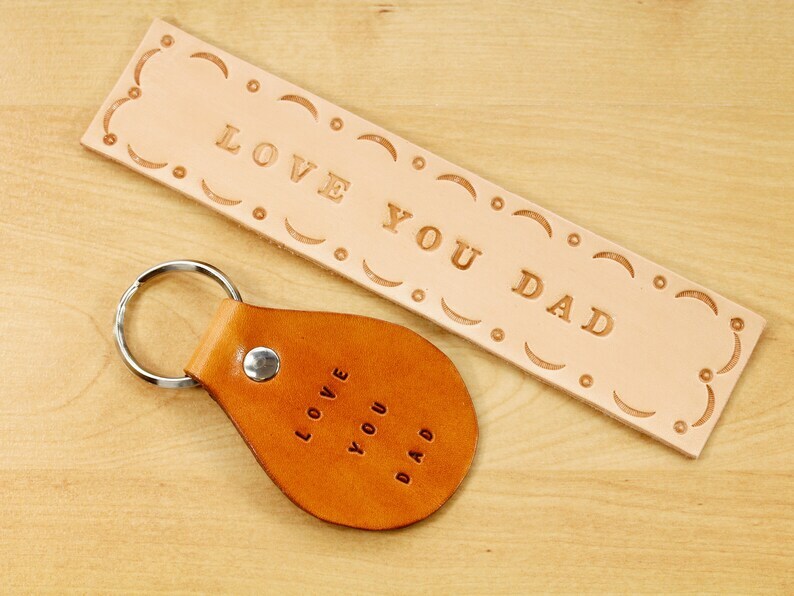 The leather gift set comprises of a handmade Love You Dad keychain and the Love You Dad bookmark which are both handcrafted from premium quality leather with Tender Loving Care. 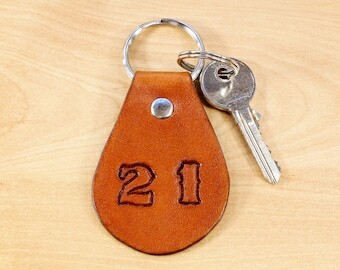 The leather keychain has individually hand stamped lettering and is hand dyed brown on the front and on the reverse. 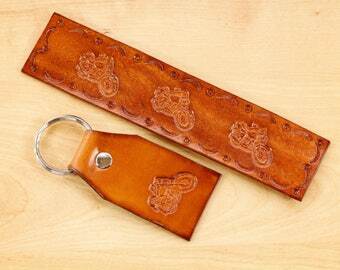 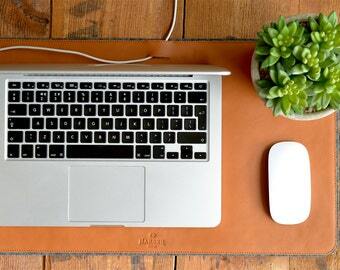 The leather bookmark also has individually hand stamped lettering and a hand tooled border. 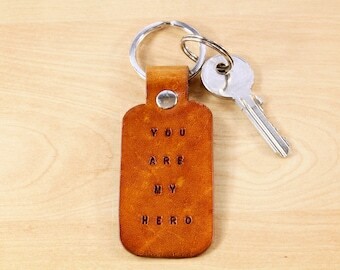 The Love You Dad bookmark is the natural leather colour with a leather finish on the front and is completely natural on the reverse. 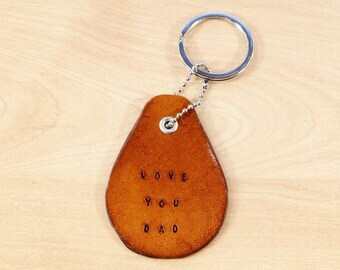 The Love You Dad keychains and bookmarks are popular gifts for dad and are made to last for years. 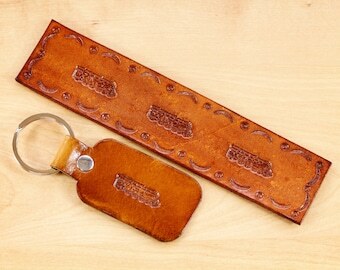 Completely handcrafted as the hand cut leather is also hand-tooled (bookmark), hand-stamped, hand dyed (keychain) and hand-burnished. 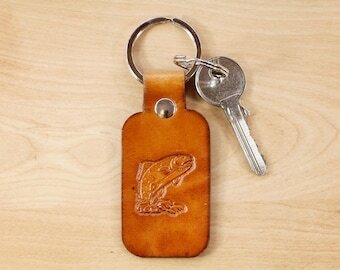 Length approximately 3 inches (7.5 cm). 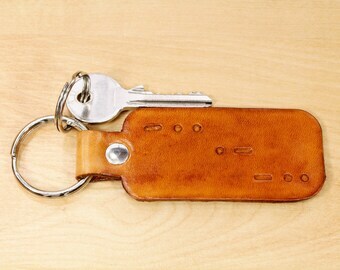 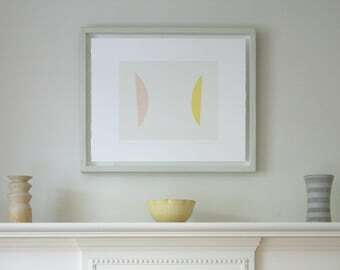 Width approximately 2 & 1/8 inches (5.4 cm). 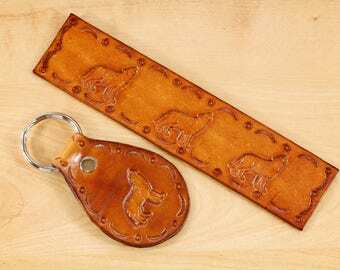 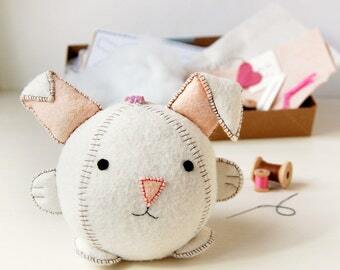 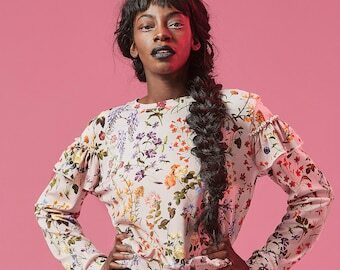 Overall length including the ring approximately 4 inches (10.2 cm). 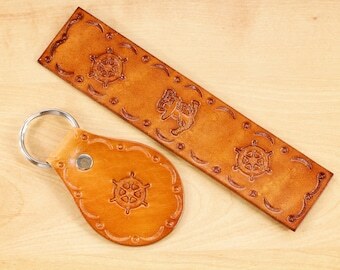 Due to variations in the natural leather and as the keychains are individually hand dyed, you can expect that each item will be unique.